Hi all! Today I’m bringing you a local Boston favorite: Mei Mei restaurant (and I clearly still have Star Wars on the brain from our halloween outfits – stormtrooper and Rey)! Mei Mei started out as a local food truck that was so popular it now has a brick and mortar venue, serving up Asian-American fusion cuisine. 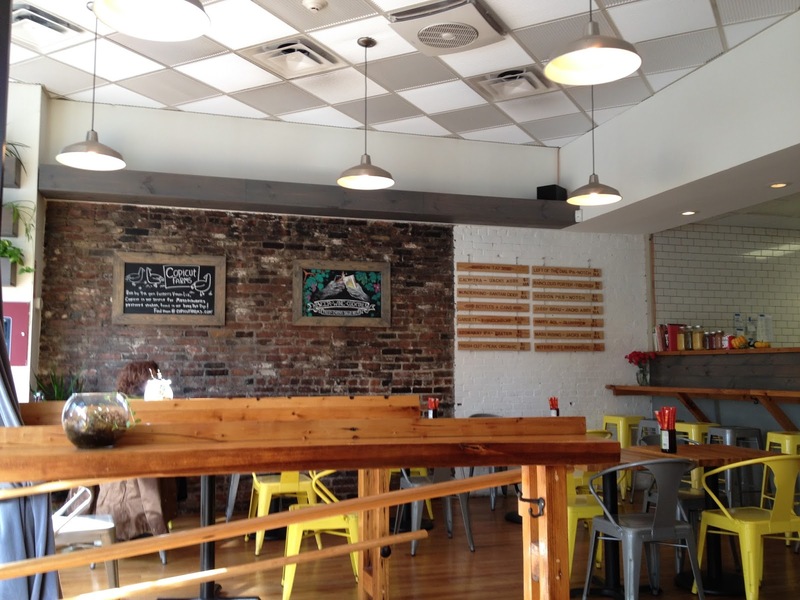 The atmosphere is modern and trendy, with exposed brick, chalkboards, and nice hardwood floors and detailing. The menu is unique and healthy, which is always appreciated! 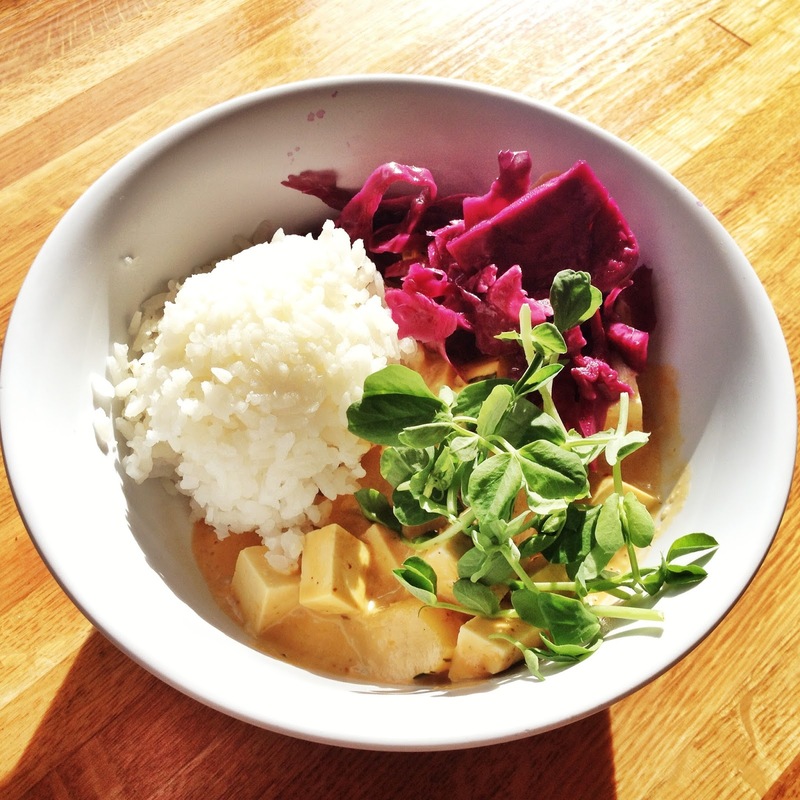 I ordered the Yellow Curry, which comes with Thai yellow coconut curry, fresh tofu, winter squash, pickled cabbage, and white rice. It was super good! The curry was thick and flavorful, and squash was really fresh. I loved the presentation of the colors and fresh-as-can-be ingredients. I’m not the biggest cabbage fan, but I know it’s really good for you so I dealt with it! 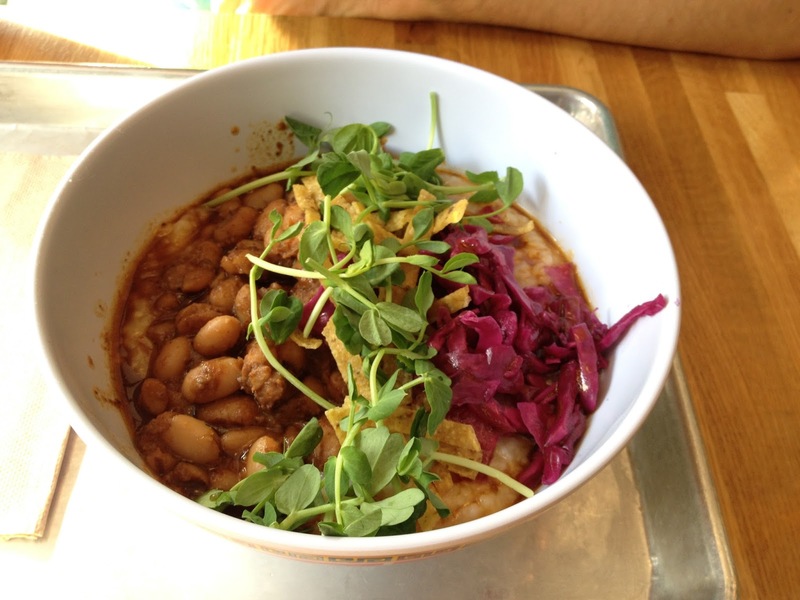 Here is the Chinese Rice Porridge, with cilantro, pickled cabbage, and umami beans. The porridge was warm and comforting, but a little tricky to pick up with chopsticks. It’s totally possible there were spoons at the front that we were supposed to use! Again, I love the presentation here – you can tell they take care to ensure the plates are visually appetizing as well. Overall, I think Mei Mei has a really unique menu and is striving for healthy options which is great. I’ll have to come back to try their most popular dish, the Double Awesome – which is eggs on a scallion pancake with pesto and cheddar cheese! Comment Challenge: What’s your favorite type of fusion cuisine? Previous Post Rocksbox: Dual Necklaces!